Author Bill FlorinPosted on December 29, 2018 Categories career, job search, Salary, Uncategorized2 Comments on Job Search? Know Your Numbers. When do you stop doing what you do because you feel you have? When will you start doing what fulfills you and uses your talents? When will you stop chasing the paycheck and start pursuing your dreams? We are getting into the final days of the year, a natural time to reflect on the past and plan for success. If you are feeling the tension, the dissonance of not spending your days doing what you are best at, what are you going to do differently next year? Are you living for the weekend, or doing what you love? This is an important question. So many people are slogging through daily drudgery, living for the weekend. We come alive Friday afternoon and spend Sunday anticipating Monday with dread. There are many reasons why people do not like their jobs. A bad boss, low pay, limited advancement opportunities, and lack of recognition all contribute. For many, though, the stress, often rising to despair, comes from being in the wrong kind of job. Our work does not align with our interests, skills and values. In an article concerning the drivers of job satisfaction, SHRM reports that the opportunity to do work maximizing our skills and interests is a top consideration for both women and men. If you are going to make a change, consider satisfaction, purpose and fulfillment before making the move. Here are some ideas on how to start. Interests: What do you like to do? Do you work well with your hands? Do you like spending time with people? Do you enjoy managing projects? Take time, ideally over days or weeks, to think about this. Jot down ideas as they come. Maybe you will think of additional interests as you go through your current work. The idea is simple; you want to generate a list of interests that can give you insight for your next step. Skills: For many people, this is easier. We know from experience, performance feedback received, our reputation, and other input what we do well. Many of us also know what we don’t do so well. Note these too. Be aware of what to avoid when you are considering options. Assessment: You can probably generate a long list of interests and skills on your own, but there is help online. For a free assessment, visit mynextmove.org. Answer a series of questions to generate possible career options. If a new job is part of your plan for the new year, do the hard work of considering all this. The effort will be worth it, and could keep you from jumping from a job you dislike into a job you hate. Do you need help considering your next career move? Contact Bill Florin at Resu-mazing Services Company for comprehensive career coaching and development services. Learn from the experiences of two of my clients who accepted job offers from Fortune 50 companies this week. The stories are remarkably similar and offer the job seeker in today’s economy a few lessons. My first client has invested his entire career into business analysis, helping companies understand what’s happening and how they can use systems to optimize business processes and results. Based on the stories he told me of saving money, improving productivity, enhancing customer service, and continually finding new ways to work smarter, he has been a great employee. Certainly, he has earned more than his paycheck in the contributions he made over the years. The second client has a technology focus, making devices communicate with each other in complex environments and helping clients get the most from their IT investments. Again, his career has been focused on this work, he is good at what he does, and he has the awards and performance reviews to prove it. Though their career paths are different, their experiences were similar. Whatever you do in your life’s work, you can probably expect to face the same. Here are the key points I took from both. Be Patient. These two clients interviewed with household-name companies, and both faced multiple rounds of interviews: one four, the other five. Not only was patience important due to the number of interviews, it was important because it took time. “You’ve done well, and I want to have you meet with the director. He’s out of town next week, so we’ll see what we can do to get you back in about two weeks.” Two, three or four delays like this makes for a long hiring process. The seeker is anxious to move along in the process; the employer is rarely so eager. There Will be a Test. Maybe more than one. Both companies used online assessments to aid in the hiring decision. These personality and work style assessments are becoming more common, so take a little time to understand their purpose and what you can expect. They can measure emotional factors, your ability to work well under stress and with others, technical aptitude, and any number of other criteria the employer views as relevant. The cost of a bad hire is high, so the effort and expense are worth it to them. For you, it means more work and the potential for elimination. Keep Your Search Active. While both clients felt early on that they were doing well, neither was willing to assume the hiring process would end in their favor. It can be tempting to slow down when a potential job looks likely. Don’t do it. I have seen people go three, four or five rounds only to be told, “We are holding off on filling this position,” or, “We went with an internal candidate.” It happens. A lot. Blocking and Tackling. Or, more appropriately, follow up and thank you notes are important. Most people do a pretty good job interviewing, at least if they are qualified for the position. Many, though, fall short when it comes to post-interview communication. Be sure to keep employer contacts warm and active with solid, timely, error-free notes, emails or cards. When appropriate, try to add value at each touch point. Show you want the job. You might refer to an article you read or an idea you’ve had. Both did this and felt better about being active at keeping the conversation going. The difficult truth is that job searching is a challenging, thankless task until you get the job. Realize you aren’t alone, though. If you need to connect with others, find a networking group or job search work team. Check with your state’s employment services office for ideas. Having a friend who is facing the same challenges can make a big difference in a months-long search campaign. As for our two clients, both have offers in hand. They both start their new positions around New Year’s and are looking forward to getting back to work. Keep at your search, and you will soon be doing the same. Cans of bubbly, brown sugar water. Big stores where they sell hammers, plywood and toilet seats. Men’s black dress socks. The difference is all about the message the marketing teams of these companies create and blast out to the world. They tell us, through their marketing channels, ads, promotions and sponsorships, what they want us to know so we can make a distinction and a purchase decision. This is exactly what everyone searching for a new job must accomplish, too. As I write this, we are in the final week of June. All those fresh, young college graduates have hit the market, ready to share their stories of internships, advanced PowerPoint skills, and, you can bet, excellent written and verbal communication skills. They all present themselves so similarly that a random selection from the electronic resume pile is probably as effective a way to select candidates as any other. The dart throw might beat the stock (uh, employee) picking. So how do you differentiate yourself so you don’t seem like everyone else? Use current, marketable, valued skills and examples of times you have used them. This has not changed, but many people do not understand this vital, core deliverable of the effective resume. Let me put it simply. You must tell recruiters what makes you special and different, not the same as everyone else. Answer this question: Why you? If you can make the case, you have successfully differentiated your way in the recruiter’s (read: buyer’s) mind. That can lead to the interview, a series of successful conversation, and a job offer. If you want to be the human equivalent of a black-and-white generic can of “Cola,” just list your responsibilities and call it a day. If you want to stand out with a distinctive message and value proposition, if you want to be something an employer wants to buy, sell yourself with accomplishments and results. If you can do it, the interviews will come. Bill Florin is president of Resu-mazing Services Company. He has written more than 500 resume packages for clients since 2009. There are limits on what your resume does in a job search. A resume can do at least two things very well, but one of them is not get you a job. This is an important distinction that should help job seekers decide where and how to invest their time and energy in the job search process. Before we move any further, understand what a resume is. It is a marketing document. No different than advertising in other areas of life – the slick brochures at the car dealer, the glossy mutual fund promotional materials your broker gives you, and the constant bombardment of digital marketing – it is created with the purpose of getting a potential employer interested in a job seeker. First, it gets a potential employer to contact you. The employer has a need, an open position with a sets of skills, experience, and qualifications defining potentially successful candidates. Your resume, if it is targeted and fine-tuned to match the employer’s need, can get a recruiter to call you. That is exactly what you want it to do. From that point forward, your resume becomes much less important as you sell yourself based on your interviews, interactions, and follow up. This brings us to the second benefit of your resume: a terrific interview. If written well, if it presents a compelling blend of stories to support the skills you claim to have, it will help influence the interviews you will face before getting an offer. This requires thought about the content of your resume, of course, in that you should share stories that will stimulate interest and conversation. In the former example, you haven’t said much. In the latter, you explained how you used a skill to make a tangible difference that made work more efficient, people more productive, and maybe saved some money. If the potential employer wants someone with Excel skills, you might be asked to explain the project in more detail. This is where you get to shine! The second benefit of a great resume is arguably more valuable than the first. While many people get calls, many fail to land an offer because they do not interview well. A strong interview filled with engaged conversation by both parties, rather than something resembling interrogation, is more likely to lead to a happy outcome. Knowing this, it stands to reason that networking, interviewing, follow-up, and salary negotiating skills are as important in the successful search. Do not discount the value of a strong resume, but don’t be over-reliant on what it does for you, either. Preparation and persistence in all areas of the job hunt are well worth the effort. Bill Florin is a Certified Professional Resume Writer (CPRW), Certified Employment Interview Professional, and founder of Resu-mazing Services Company in Monroe, Connecticut. Contact Bill at contact@resu-mazing.com for a free job search strategy consultation. Your LinkedIn profile is more than an electronic résumé. LinkedIn is a social media site, and if you want to get the most out of it, you should be spending some time each day, or at least every few days, on the site. Activity creates visibility and connections. Punch through this list and figure out how you can be more effective while being LinkedIn. 1. Seasonal Greetings. As I am writing this, Christmas is just two days away. New Year’s Day is a week later. Scan your contacts list and send a note to say hello and share good wishes. Tip: Rather than typing the same statements over and over again, open your word processing program, type out a few greetings, and copy/paste from there. Easy! 2. Share News. Chances are that you work in an industry where something new is happening. If you see news stories that would be of interest to other people in your company and industry – any community with shared interests – post a link. IMPORTANT: Add a comment (a sentence or two) to your post to tell your network why you found the article valuable. Help them understand why you shared it and why one would want to spend time reading it. 4. Watch for Jobs for Others. Is there someone in your network who is looking for a new job? You might run across opportunities on LinkedIn and in other ways. Pass along these leads. 5. Participate in Groups. Participating is more than sharing a link to a story or promoting yourself. Read what others are sharing, get involved in discussions, and offer positive feedback. Part of the fun of social media is recognizing and being recognized for adding value. Give some love to others and they will do the same for you. Relationships start that way. For 21 great tips on building a better LinkedIn profile, see 21-Point LinkedIn Check-Up. It’s the most viewed and shared article on this site. 6. Be Free with Knowledge. What are you good at? What are your areas of expertise? Monitor group discussions to offer ideas and advice when others ask for it. Your reputation can only get stronger for being so generous. 7. Ask Questions. If you are working through an issue, need advice, or just want to bounce ideas off of others, post a question to your network. You can do this as an update, to groups, or both. You might be surprised by the amount of help and engagement you get. Don’t forget to thank others who help you. 8. Be Gracious. Say thanks! When people endorse you, recommend you, recognize you, or help you in any way, say thank you. You can do this publicly. Better, send a private note thanking the person. Do both! Why not? You can never make a mistake by offering appreciation and thanks. 9. Recommend Businesses. This is especially true for smaller businesses that will care about your recommendation. Think about the businesses with which you have experience. Look for their LinkedIn company pages. Write recommendations that are specific about a product or service provided. This can lead to connections with the company and a more diverse network. 10. Recommendations & Endorsements. You should be doing these already, but if not, get going! When you write recommendations, be brief and specific about an accomplishment or quality about the person. Save your endorsements for people whose work you have seen. What else are you doing with the service? How are you being social? Please share your ideas. If you found this article helpful, please take a moment to share it. Also, be sure to follow this blog to get notifications of new stories. Thanks! Bill Florin is a Certified Professional Résumé Writer, Certified Employment Interview Professional, Coach and President of Resu-mazing Services Company in Monroe, CT.
As the US winds down its involvement in global hotspots, more veterans are transitioning into the civilian workforce. Some are doing it better than others. Some employers are making it easier, too, by building strategies to proactively identify and recruit candidates. Starbucks was in the news recently by setting a goal to hire 10,000 vets. Home Depot and others have a history of being vet friendly. Here are a few ideas that everyone can use to more quickly assimilate veterans into civilian gigs. If your organization doesn’t have the core competency and culture needed to understand, recruit and retain talented veterans, look inside for expertise. Some companies (e.g., GE, Boehringer Ingelheim) have created internal employee groups to help. They can help “translate” military jargon and accomplishments into your company’s unique language. Understand that the military is, in many ways, a business. Look for similarities rather than differences. 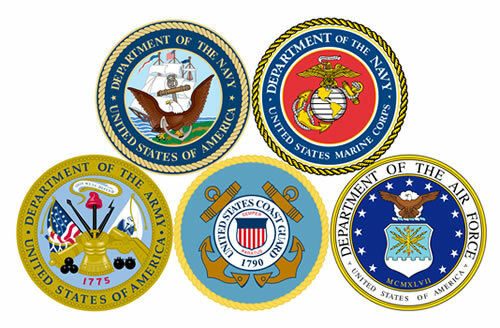 Logistics, inventory management, asset protection, security, public relations and many other civilian career disciplines have similar or exact parallel military assignments. Ask questions. If a vet has awards, commendations and promotions, ask why and how they were earned. You will likely hear stories of accomplishments that will help you decide that you really want to hire this candidate. You are the “bilingual” person in this relationship and conversation. Translate military-speak into language that a 22 year-old civilian college grad HR employee can understand. Did you help move the gear from the rear to the hot spots? Talk about using your planning, organizing and communication skills to run a successful logistics operation to supply 1,000 soldiers in dispersed locations. Learn the language of your targeted company. Get to know people inside, study their website and press releases, read the news, and learn as much as you can about the company. When you interview, you will sound like you belong and will already have an idea of how to tell your stories in a way that will resonate and make sense to the recruiter or hiring manager. Find military-friendly companies. They will have people who will understand you. Check MilitaryFriendly.com as a starting point. If you are a veteran, you know that you worked hard and have much to offer. Employers, you owe it to your company, your stockholders, and these veterans to learn more about them. Many have skills, training and experience gained during their service that will make them very attractive if you take time to understand. See last year’s Veterans Day story. It’s still worth a minute! Bill Florin is President of Resu-mazing Services Company and served as a member of the Military Police in the US Army Reserve.